I cannot even believe this has happened to me. My talk is uploaded on the actual TEDx Youtube site, you guys. Yup. The one with 1,000,000 plus plus subscribers? Yeah. I’ve always secretly wished that I’d get invited to watch a TEDx talk, but never in my life have I thought that I would be invited to deliver one. That is SUCH a huge deal. I was actually in the JR Yamanote train vacationing in Japan for the holidays when I got this email. I might have given a tiny squeal of delight when I read the subject. They had me at TEDx. Anyway, I won’t explain much. But just to give you a gist: I talk about the value of writing “weird” and unconventional pop songs, and how songwriting can be used as a tool to educate, inspire, connect, and reflect human society. I perform A Song About Space for the first 5 mins. Skip to 5:05 to go directly to the start of my talk! It’s such a big privilege to be standing on a TEDx stage, on a huge, red circular carpet. Thank you TEDx British School of Manila for having me! P.S. 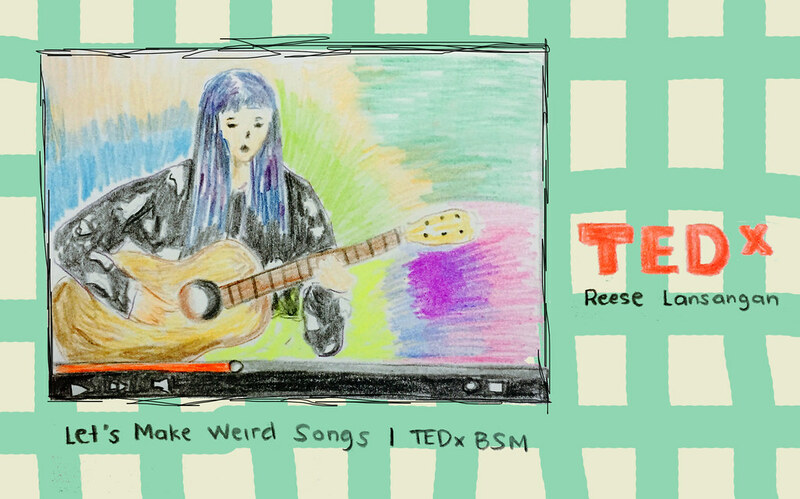 I’m still waiting for my TEDx UST video! I’ll be sure to keep you posted once it’s available online! Trisha; Thank you so much for watching the whole thing! Let’s wait for the TEDx UST one!